Check out our new thing, the Dying Scene Countdown. Keep up on the latest music coming through the scene! Tune in! 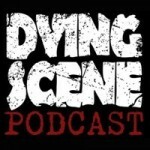 Dying Scene Podcast 006: Roundtable Extreme!